Middleton and James Matthews just celebrated their one-year wedding anniversary. Princess Kate's family is expanding once again. 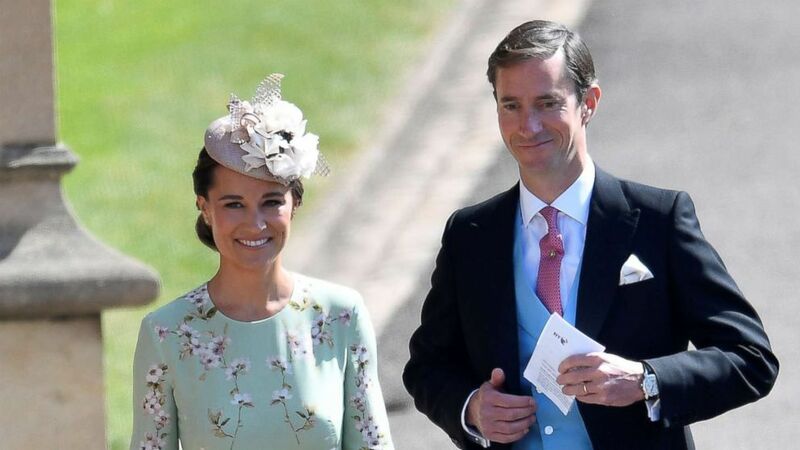 Pippa Middleton, the sister of Princess Kate, is expecting her first child with her husband, James Matthews. Middleton, 34, announced the “happy news” in the fitness column she writes for Waitrose Weekend, a magazine from the U.K. supermarket chain. 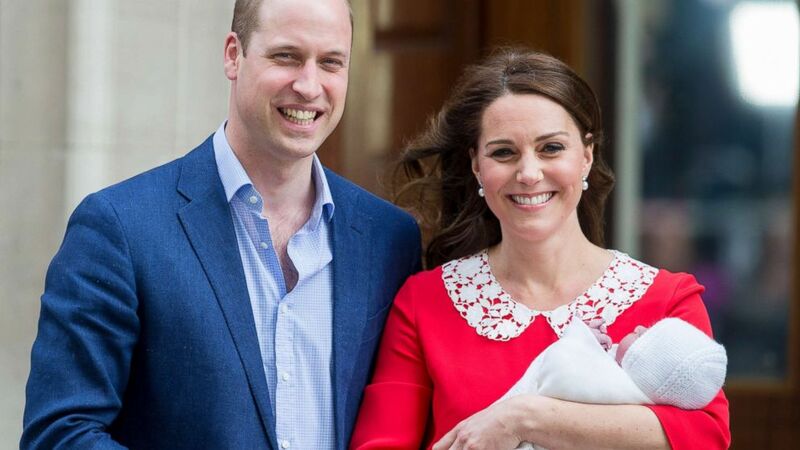 Middleton's pregnancy news comes just a few weeks after Kate, 36, delivered her third child, a son named Prince Louis. Speculation over her pregnancy first emerged in April, just before Kate gave birth. (Ian Jones/Allpix/Splash News) Prince William and Kate depart the hospital with the new baby boy at the Lindo Wing in St Mary's Hospital, April 23, 2018, in London. Middleton and Matthews were guests at the wedding of Prince Harry and Meghan Markle last month. 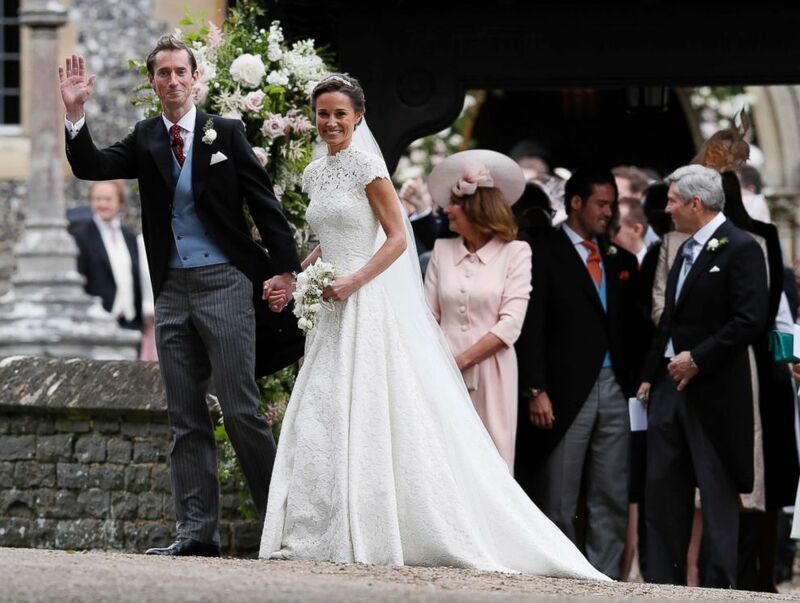 (Toby Melville/Reuters) Pippa Middleton arrives with her husband James Matthews to the wedding of Prince Harry and Meghan Markle in Windsor, May 19, 2018. She and Matthews also stepped out publicly together last week at the French Open, displaying the first hint of a baby bump. (E-Press/Splash News) Pippa Middleton and James Matthews attend Day One of the 2018 French Open at Roland Garros stadium in Paris. Middleton married Matthews, a hedge fund manager with Eden Rock Capital Management, in May 2017 with her sister and her niece and nephew, Prince George and Princess Charlotte, who served as page boy and bridesmaid, by her side. She revealed she had passed the first trimester without suffering from hyperemesis gravidarum, the severe morning sickness Kate experienced during all three of her pregnancies. “I was lucky to pass the 12-week scan without suffering from morning sickness," she wrote in her column. "That meant I was able to carry as normal and continue my sports." (Kirsty Wigglesworth/AP FILE) Pippa Middleton and James Matthews smile for the cameras after their wedding at St Mark's Church in Englefield, England, May 20, 2017. Middleton is an accomplished athlete who has participated in a number of sports challenges around the world with Matthews and her brother, James Middleton. She has cycled across America for charity, run a 47-mile swim-run race and completed the Bosphorus Cross Continental Swimming Race in Turkey, one of the most difficult swims in the world. George, 3, served as a page boy while Charlotte, 2, served as a bridesmaid. Queen Elizabeth, Meghan Markle's mother and Pippa Middleton all wore green. “I’ve noticed my body change and my weight increase, but through effective exercise and sports I feel that it’s being strengthened to support a healthy pregnancy, birth and recovery," wrote Middleton in her column on exercising during pregnancy. An avid runner, Middleton conceded she has decided to give jogging a rest, not because she felt it unsafe, but to stop pounding the pavement during her pregnancy. She has adopted alternate exercise options during her weekly routine which consists of workouts four to five days a week. The article features a number of exercises and routines Middleton recommends for expectant mothers. Middleton, who lives with Matthews in London, has not revealed her due date.